5 kitchen tools, I use, to help decrease time and make life easier in the kitchen Life, in general, has become hectic, to say the least. Life, in general, has become hectic, to say the least. We spend time at work, running errands, doing house chores, paying bills and balancing the checkbook, running children back and forth to after school sports/programs, somewhere in there we try to have a social life and when it’s all said and done how many of us really want to spend hours in the kitchen trying to get a healthy meal on the table? Very few, leaving us with the kitchen blues. 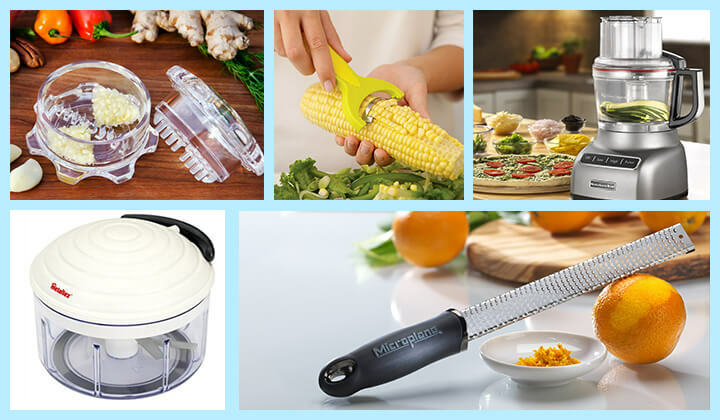 I know you want to make life faster and easier in the kitchen so I’m going to share some of my favorite, most used, kitchen gadgets with you. Not only do they help make life more fun in the kitchen but they also help me make healthy, great tasting food for my family. Garlic is an ingredient that is found in almost every recipe we cook but all the mincing, it takes time, right? I started using the hand-held garlic mincer and I’ve never gone back to using a knife. 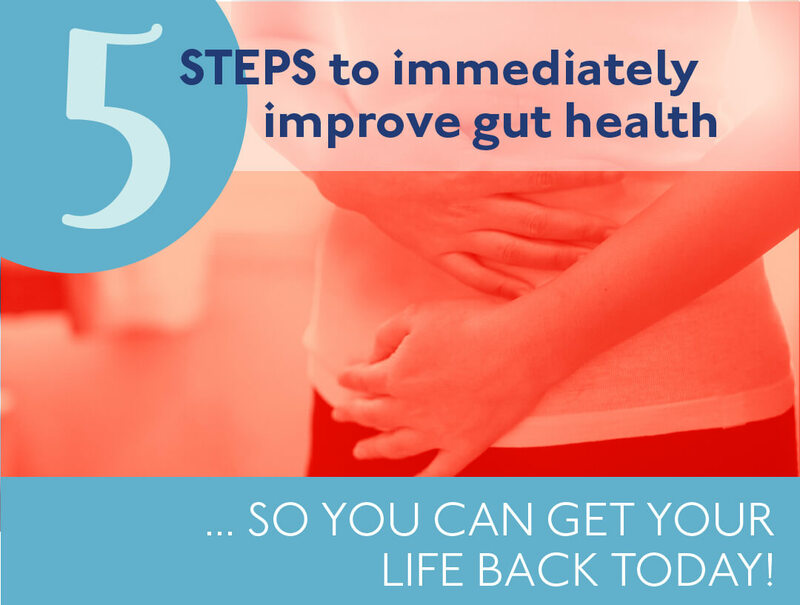 It’s so easy, just add your garlic, twist a few times and wah-lah you have minced garlic…so easy! If you do this early on in your preparation and let the minced garlic sit for at least 10 minutes you will reap the health benefits. When garlic is allowed to sit after being minced two substances, a protein and an enzyme in garlic, are married together increasing health benefits thus making your dish extra healthy. Decreasing time used for lots of chopping and dicing is key! 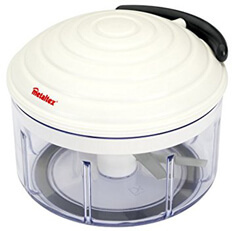 This handy little chopper will do a great job with onion, bell pepper, carrot, tomato, mushroom, zucchini and squash. Really, you can put anything in the RotoMatic chopper that needs chopping or dicing. This handy little gadget reminds me of a lawnmower, just pull the cord a few times and you are done. It is small, so sometimes you will have to do a few batches, but it is still faster than chopping and dicing everything with a knife. Summertime is for preparing corn and bean summer salads bursting with flavor. 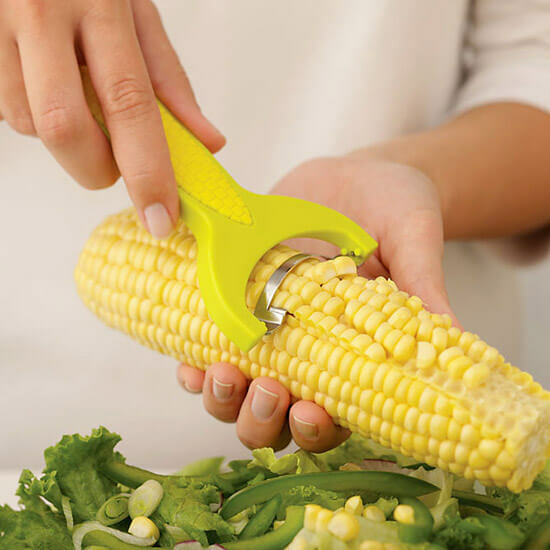 This little gadget is great for stripping corn right off the cob in seconds. No more balancing the cob on one end while using a knife to slice the kernels off the cob all the while trying to save your fingers. When you are done using the corn zipper rest assured you will still have 10 fingers! I never really understood or appreciated the purpose of this kitchen gadget until I FINALLY broke down and bought one. Love it! I use it to add flavor and nutrients to dishes or salad dressings with citrus zest. If you have never done this try it; you can add orange zest to the tops of chocolate cupcakes, chocolate cake and carrot cake. Lemon and lime zest work wonderfully in homemade salad dressings and smoothies. Take your vegetables and salads to the next level and dress them up with zest. 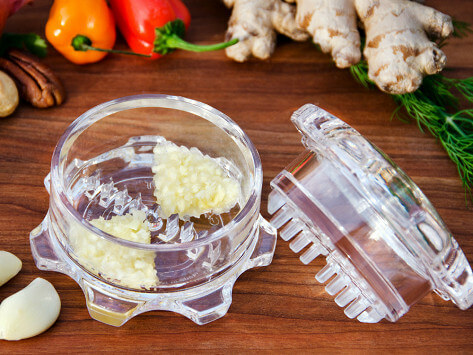 I also use my zester to add light and fluffy strings of parmesan cheese to my pasta dishes and aromatic and spicy bits of ginger to Asian dishes. It packs well in your kitchen drawer taking up very little space and it’s so easy to handle. I honestly have no idea how I lived without this for so long. 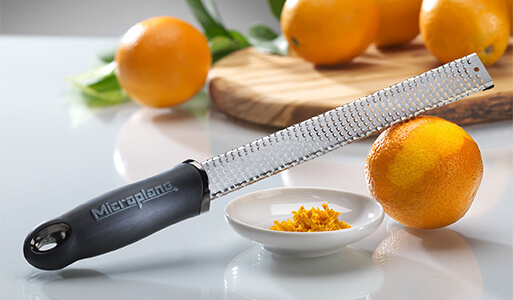 This kitchen gadget is great for slicing, shredding, kneading, chopping and mixing. The best thing, it does it quick! I use this for making sauces for pasta, corn and bean salads and Asian dishes, and it’s great at blending ingredients for veggie burgers. There is no spilling over because it holds up to 9 cups of ingredients. 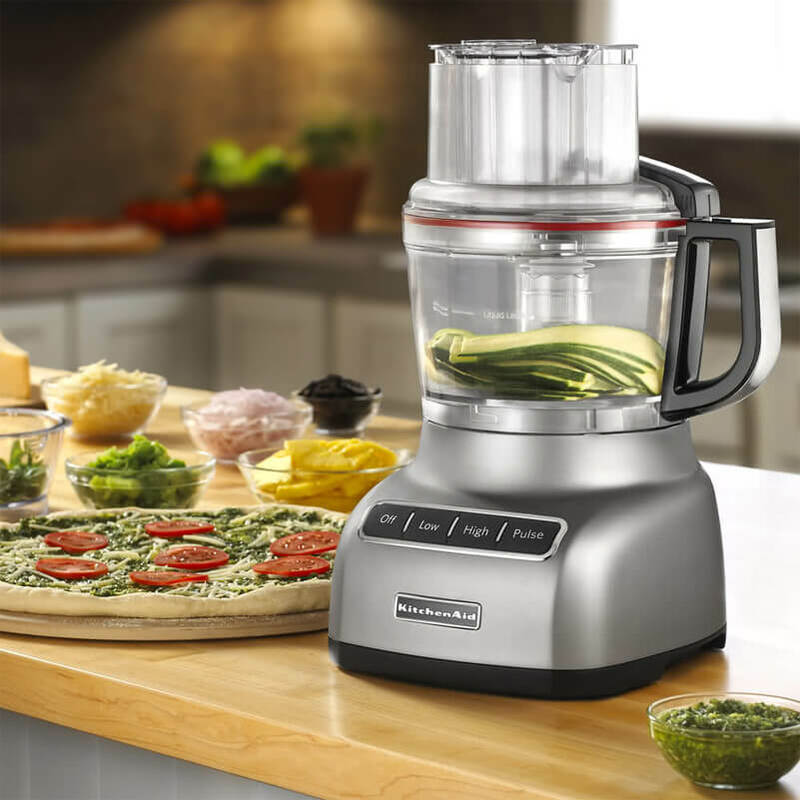 I encourage you to get this into your kitchen and make meal preparation simpler and rest assured this food processor can go right into the dishwasher for quick cleaning. Are you ready, grab 1 or all 5 of these gadgets? I encourage you to get into the kitchen, get creative and have fun making new recipes and trying new foods. Shoot me a comment below, I’d love to hear from you. Tell me what gadget you tried, what you prepared or cooked or even share your favorite kitchen gadget if it’s not listed here. Previous PostPrevious What exactly is the Mediator Release Test (MRT)? Next PostNext Weight and Wellness, is it for you?